As you all probably now, Maus tells two different stories: In one, we are transported to World War II, and witness Vladek Spiegelman's attempts to survive the holocaust. In the other we meet his son Art, who struggles to mantain a relationship with a holocaust survivor while trying to do justice to the story his father has to tell. 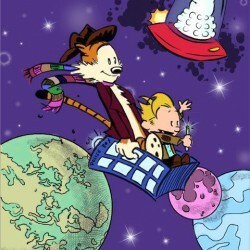 The result is a book that everyone should read, regardless of their opinion of comics. I love how Spiegelman takes different animals to represent each nationality: jews are mouses, nazis are cats, frenchmen are frogs, polish are pigs, and north americans are dogs. That transports you to a time where your place of birth determined your worth and your right to live, and puts jews at the bottom of the scale; their mere existence was an insult to many people back then. Maus is also an example of the power of comics. I've read a lot about WW II because my father has a lot of books on the subject, but almost none of them gave a truly personal account of what it meant to be there. We see statistics, we know that a lot of people died, but we don't feel the anguish, nor we cry for the fallen. That's why at least here (in Colombia) human rights organizations do their best to put a face to our private war: So we can empathize and put ourselves in the victim's shoes. In terms of empathy, Maus did this for me, and not just regarding the holocaust. I can't even begin to imagine what it feels to live your life depending on a couple of people that haven't learned to live with themselves, behind the shadow of a brother that didn't make it past the war and whose perfect picture mocks your entire childhood. 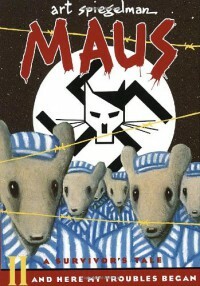 This conflict puts Maus way beyond any other account of the holocaust, and beyond any other comic (for me).I end this review asking teachers to add this novel to their "required reading" list, and anyone who comes across this review, to buy this novel and read it cover to cover. It's worth it.